EINKORN (triticum monococcum) is the most genetically simple wheat variety with 2n = 14 chromosomes. It has begun to be cultivated about 10,000 years ago, and its origin, which was produced in Turkey's mountainous regions of Anatolia and Kastamonu, is the ancestor of today's wheat. EINKORN wheat contains primordial gluten (wild gluten). In spite of its unique taste and nourishing qualities, EINKORN wheat had to leave its place to high yielding hybrid wheats due to its low (unit area) yield and difficulties in processing because of its crustacean structure. However it is also because of this structure that it could not be genetically manipulated. Most of the wheat produced today as 42 chromosomes. However, EINKORN wheat has 14 chromosomes. * EINKORN is about 50% higher in protein than modern wheat yet its gluten structure makes it tolerable to some people with wheat sensitivities. * Contains gluten in the primitive structure and thus it is less harmful to human health. Especially when baked with sour dough the body will much more easily degrade and digest. However, products containing gluten should not be consumed by those with celiac disease or gluten sensitivity. * EINKORN has 3 – 4 times more riboflavin (vitamin B2 which stimulates the metabolism and assists in the digestion and absorption of fats, carbohydrates and proteins) than modern wheat. * 3 – 4 times more beta-carotene (an antioxidant that plays an essential role in cell division, reproduction, bone growth, vision, skin health and strengthening the immune system). * Significantly higher levels of vitamin A than other wheats. 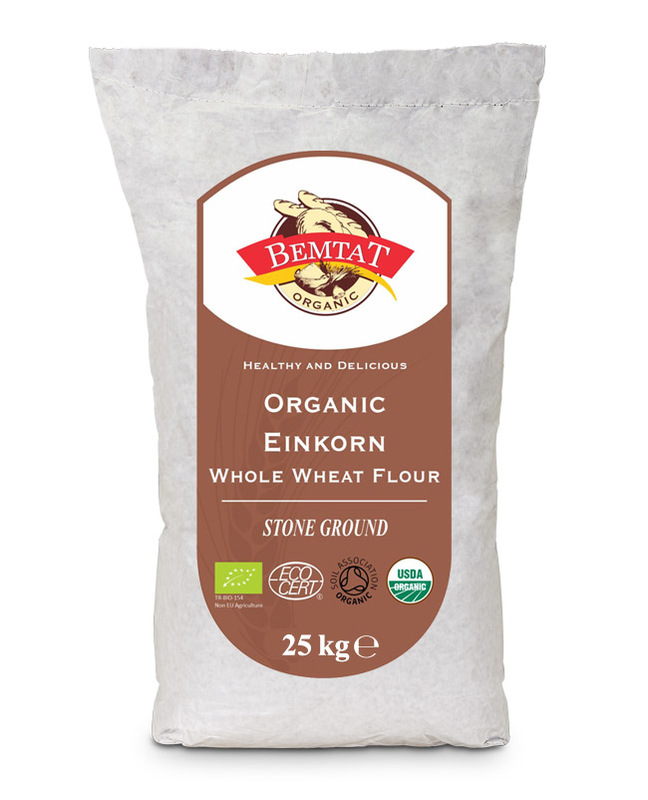 * EINKORN is also a great source of minerals including zinc, manganese, potassium, phosphorus and iron. * The Presidium also known as Noah's tastes is the first and only product selected from Turkey. * Stone Milling process provides for the wheat bran and wheat germ to remain in the ground flour thus makes it contain high levels of minerals and cellulose which in turn regulates bowel movements and helps prevent intestinal cancer on the long run.